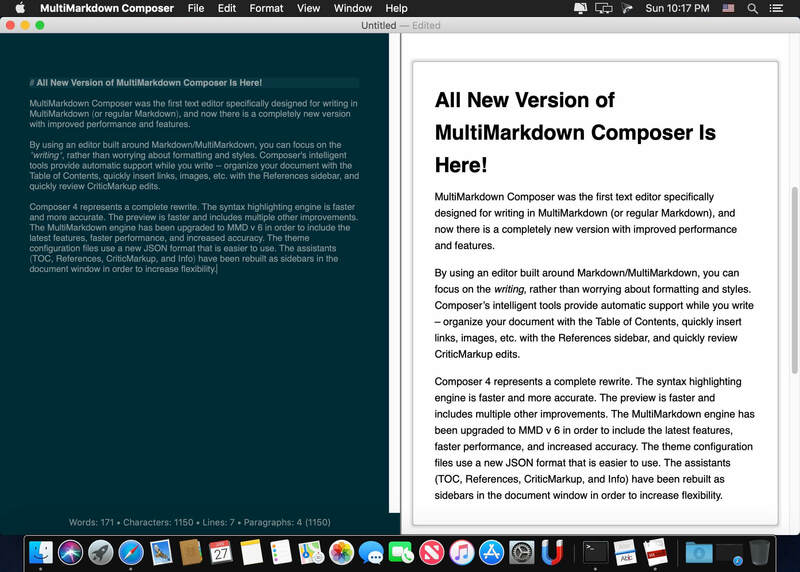 MultiMarkdown Composer was the first text editor specifically designed for writing in MultiMarkdown (or regular Markdown), and now there is a completely new version with improved performance and features. By using an editor built around Markdown/MultiMarkdown, you can focus on the *writing*, rather than worrying about formatting and styles. 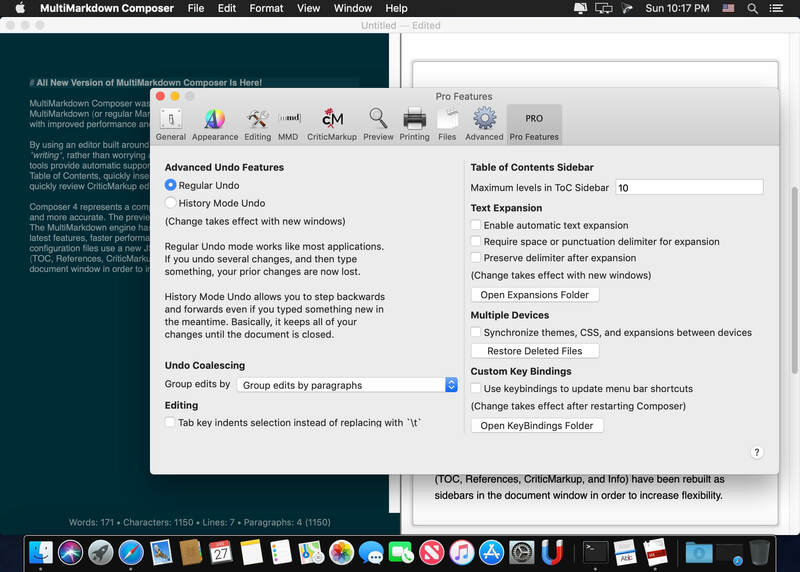 Composer's intelligent tools provide automatic support while you write – organize your document with the Table of Contents, quickly insert links, images, etc. with the References sidebar, and quickly review CriticMarkup edits. Composer 4 represents a complete rewrite. The syntax highlighting engine is faster and more accurate. The preview is faster and includes multiple other improvements. The MultiMarkdown engine has been upgraded to MMD v 6 in order to include the latest features, faster performance, and increased accuracy. The theme configuration files use a new JSON format that is easier to use. The assistants (TOC, References, CriticMarkup, and Info) have been rebuilt as sidebars in the document window in order to increase flexibility. In short, virtually every piece of Composer has been rewritten to make it better! 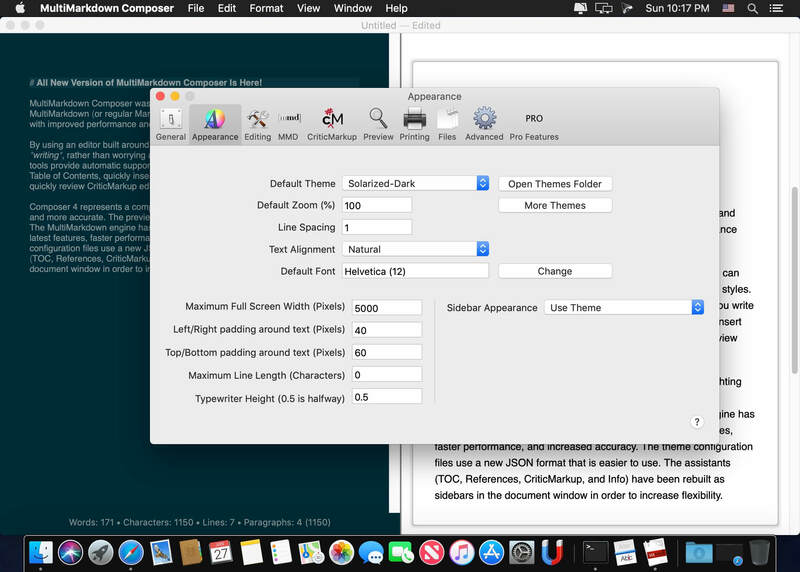 Custom keyboard commands and macros – customize Composer to suit your needs!